For any business, venturing into IoT is a good move in today’s evolving digital atmosphere. It is estimated that IoT, a growing trend among startups and entrepreneurs, will expand from a few million devices to tens of billion devices in the coming years, impacting everything from basic infrastructure to security to business standards. 1. Management of Data: The internet is a storehouse of massive amounts of data. Data is created, shared and distributed on a second-by-second basis. With so much data being circulated, we need data centres. However, users are now looking to cloud computing to store data. Security becomes a concern at this point, because IoT will generate large amounts of data, calling for capacity management on a large scale. Transferring that much data to a single, central location is not economically viable. 2. Security: IoT will connect millions of devices to the web, so the chance of malware penetrating your data or system is high. Devices themselves are often in locations of vulnerability, exposing the risk greatly. Networks through which these communicate cannot be monitored all the time. 3. Privacy: In this day and age of big data, there arises the debate over who owns the data – is it the users of devices, the manufacturers or the persons who operate the distribution networks? There has never been a clear answer to that question. Even as this debate rages, the devices are busy tracking how the users are using them. For instance, your phone automatically knows which route you prefer to take. Almost every device needs and uses the internet, thereby passing on a lot of private information to big companies, which is not altogether desirable. IoT only serves to amplify this. 4. Connectivity Issue: As IoT grows, connectivity becomes an issue. With millions of devices connected to the internet, reliable network solutions and hotspots will face growing demand. Hence, this will call for the installment of several wireless routers in and around cities. Whether or not connectivity can be boosted to such a large extent, is questionable. Even if it is, the costs will be astronomical, and its longevity is also a matter of concern. 5. Business Model: It is important that business strategies and models be built around IoT, to keep up with the pace of this digital evolution. Existing business will find it more challenging as their current business models have to be heavily reconstructed to accommodate something as new as IoT into their day-to-day workings. New companies, with a leg already in technology, will find it a shade easier. However, the process of IoT integration will be laborious – it will have to be carefully examined, and it will also lead to heightened resource requirements, something that startups will find a lot harder than big companies. What with so many changes cropping up every day in the digital ecosphere, businesses both big and small have to constantly evolve. Strategies need rethinking, there is more forethought required to stay abreast with trends, and the time is nigh for speedy adaptation to IoT. The challenges posed by IoT are many, but tackling it needs time, and it is not something that companies can hasten to do if they aim to remain profitable. Nevertheless, slow but gradual steps taken in an effort to tackle red alert areas such as connectivity and privacy can ensure the eventual success of IoT. Still in its nascent stages, but has the potential to grow to great heights. 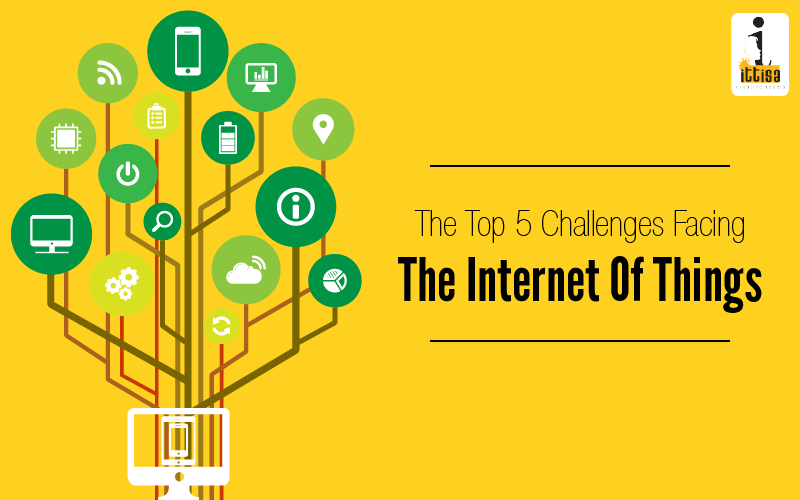 but what are the main challanges faced by internet users.